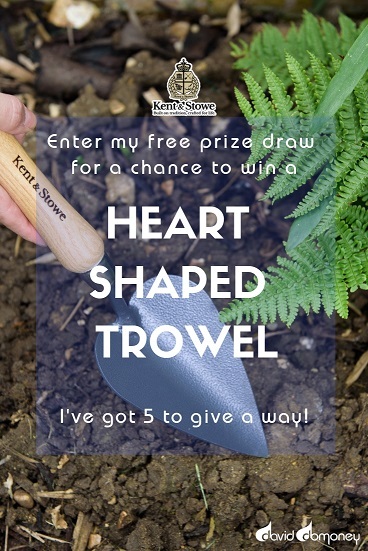 Enter my free prize draw for a chance to win 1 of 5 Kent & Stowe Heart Shaped Trowels. These trowels are designed to with a pointed tip to increase soil penetration with harder to work soil. Perfect for use in borders, beds and pots with your bulbs, seedlings and bedding plants.